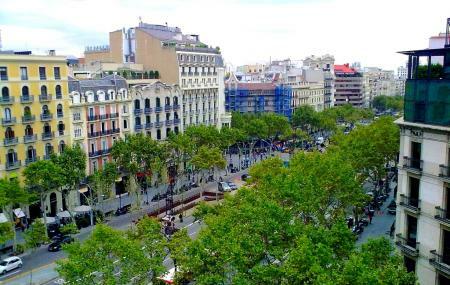 Translated as the Extension district, L’Eixample boasts to be a newer addition to the list of attractions in Barcelona. Spreading over the areas of north of Plaça Catalunya and right of Passeig de Gràcia, this district is laden with a modern as well as a happening vibe. Planned as per the urban planning of Catalan engineer Cerdes, this district is built on straight lines and the whole area is set out in a grid with each block having an inner courtyard. The advantage of this architectural planning is that nobody can get lost in this district. Walking down its streets you will come across a lot of Barcelona's art nouveau masterpieces, and a high-class residential and shopping area. How popular is L'eixample District? People normally club together El Museu Blau and Palacio Del Flamenco while planning their visit to L'eixample District.